Are You Constipated Because You Have A Megacolon? Megacolon is the term used for an abnormally enlarged colon. It is often associated with extra (redundant) loops of bowel. It can cause severe constipation. Megacolon can be congenital and is often hereditary, or can gradually develop over many years of poor diet, constipation and/or laxative abuse. If there is a very large amount of extra bowel, there may be huge redundant loops of bowel that trap food, which stagnates and putrefies inside them. Megacolon is a mechanical problem and can cause abdominal bloating, constipation, flatulence and pain. The constipation produced is usually severe and it may be over a week before a bowel action eventuates. Understandably this is not completely solved with strong laxatives alone, and colonic irrigations are far more effective for megacolon. In some people with severe constipation caused by a megacolon, there is damage to the nerves that supply the muscles in the colon and thus the contractions of the muscles are weak and do not move the feces along the colon. This type of nerve damage is commonly caused by diabetes, diseases of the brain and spinal cord, some medications and chemotherapy for cancer. In diabetics, weight loss and blood sugar control can reduce nerve damage and thus constipation. Megacolon often goes undiagnosed for many years or even a lifetime; leaving the sufferer with chronic digestive discomfort and a greater risk of bowel cancer. A special X ray called a barium enema is able to diagnose megacolon because it can visualize the extra loops of unwanted bowel. In extreme cases, the extra loops of bowel become huge and great relief is achieved by surgically removing them and rejoining the healthy edges of the colon. The symptoms are relieved and the constipation cured. This surgical procedure is called a bowel resection and is best done by a surgeon who specializes in large bowel (colon) surgery. You can ask your general practitioner for a referral to such a specialist surgeon. Vegetables, fruit, nuts and seeds are all high in fiber. Grains and legumes are also high in fiber but they can be irritating to the gut lining and can actually worsen constipation and bloating, therefore are best avoided. You may need to take a fiber supplement to ensure you obtain enough each day. Fibertone powder can be stirred into water or added to smoothies, yogurt, cereal or sprinkled over chopped fruit. 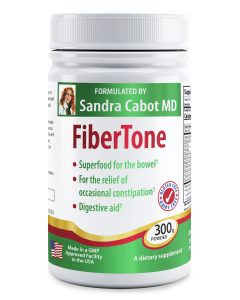 Fiber is not an adequate remedy for stubborn types of constipation. 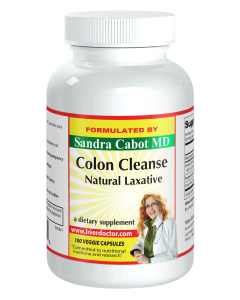 The natural ingredients in Colon Cleanse capsules have a more powerful bowel clearing action and can provide great relief for a clogged up bowel. It is important to include some fat in your diet because it enhances digestion, lubricates your digestive lining and helps to stimulate a bowel action. Olive oil, coconut oil, avocados, oily fish and nuts are all great sources of good fats. Sluggish bowels are usually associated with a sluggish liver. Your liver makes bile, which is your body’s own laxative. If your liver isn’t keeping up with the job, you can expect your bowel function to slow down. The herbs and taurine in Livatone help to promote efficient liver function. Stress affects each of us differently and some people hold stress in their intestines. Find healthy, relaxing ways to unwind, such as meditation, yoga, reading, spending time with loved ones and pets, and engaging in hobbies. 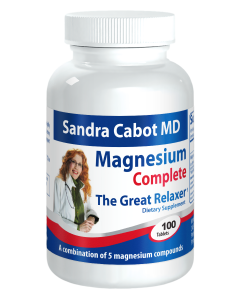 Adding magnesium to your daily supplement regime can really help when it comes to being able to relax. 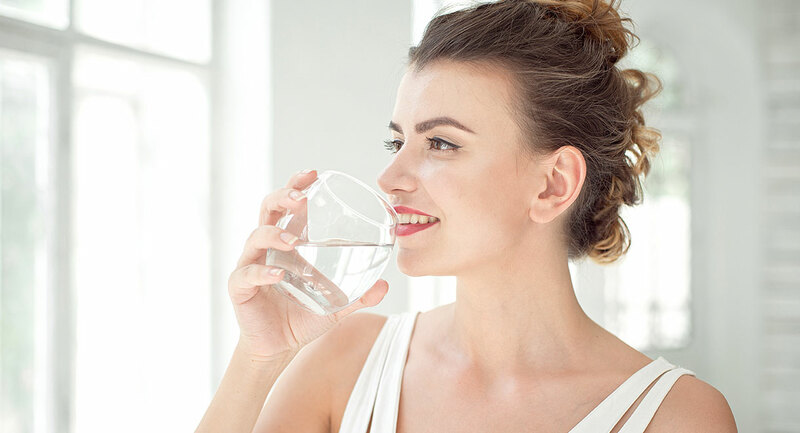 In people with severe constipation caused by megacolon and/or nerve damage, the use of regular enemas and/or colonic irrigation is extremely helpful.